DR. SIVA SUBRAMANIAN: The event that we are talking about is Upanayanam, which means taking one to something or someone. This is a rite of passage in the young man’s life, usually between 8 and 16 years of life. 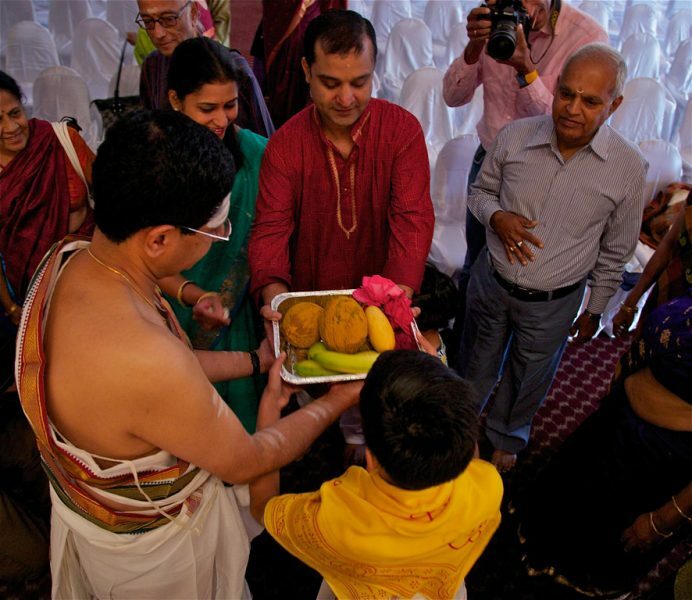 Ideally the ceremony is done in two days, and the very first day the boy and the parents go and get the blessings of the elders. All the generations that were there, going to 3 to 5,000 years, they are invoked to come and bless the parents and the student who is taking this major step in his life. And for this, nine priests were brought and those are the nine priests in which these ancestors are invoked. 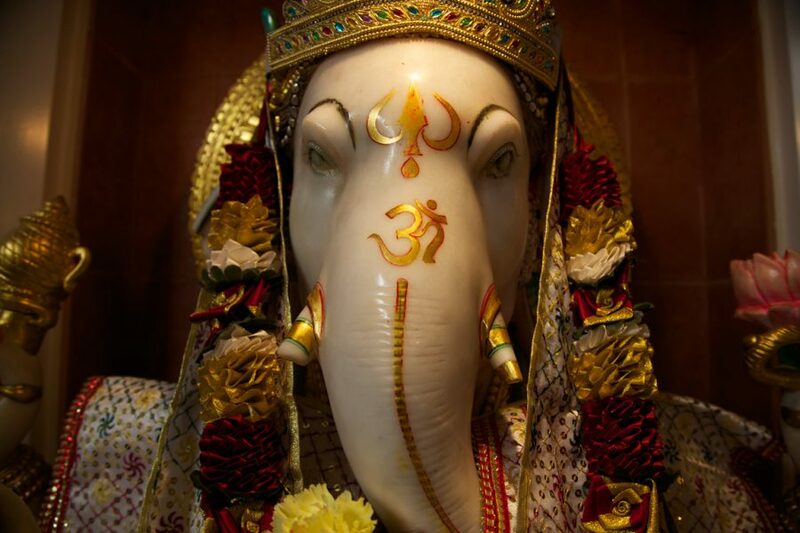 And then they start doing the first worship service to the god Ganesha who is considered as "remover of obstacles" and so in order to make sure all the function goes well you worship to remove all the obstacles and hurdles that one might have. In Hinduism there’s almost nothing that is done without fire as the witness. The fires god also is a representation of the supreme and so any oblations given to the fire is taken to the appropriate god and goddess. 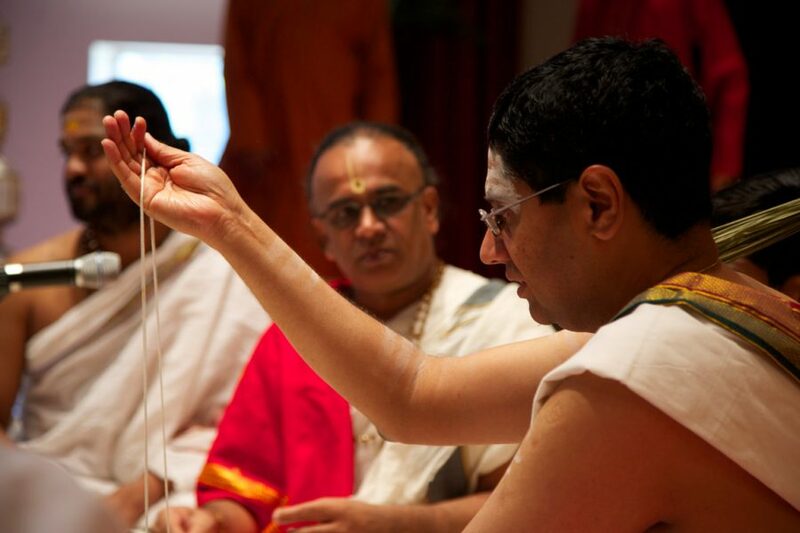 Hinduism believes in not just one god, it believes in only God. Then, they blessed the waters, you know, that were in the pot. All the auspicious waters from the world are brought in and invoked, and each river is considered as a goddess, and so they actually invoke the goddesses into that water by the chanting, and the water becomes sacred and holy, and with that water they do the purification and cleansing. 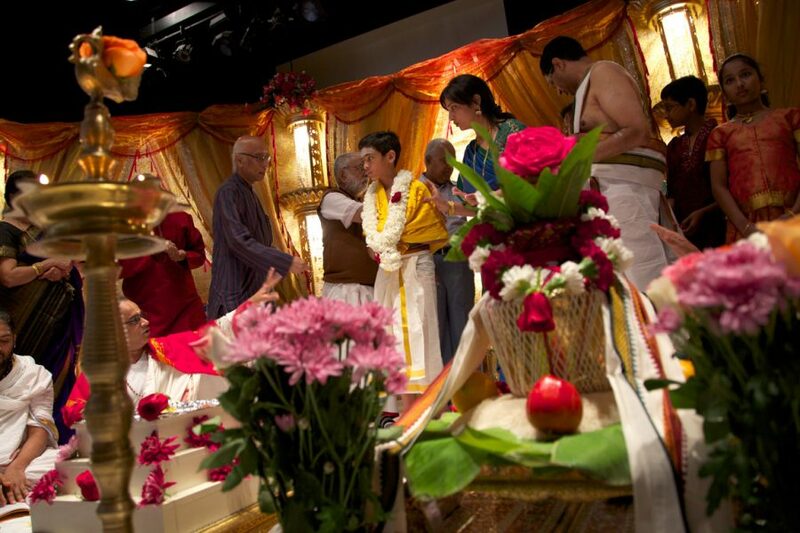 The second day, you know, starts with the same part in terms of getting the blessings from the elders, from the gods and goddesses and the worship service to Ganesha. The sacred ash, this is to remind that individual that you are made up of these five elements earth, air, space, water, and fire, all the five elements and you are going to go back to these elements. 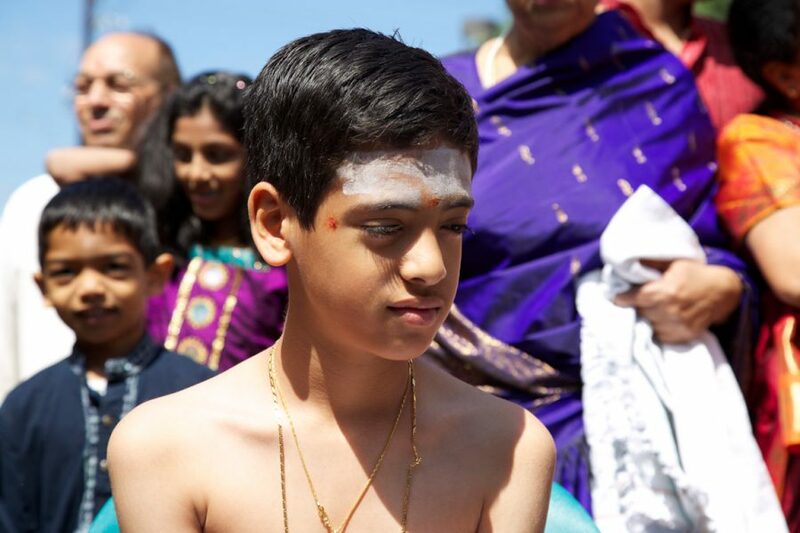 One of the two major components of this festival Upanayanam is giving that boy the sacred thread which is made of three strands and these three strands signify several components in his life. 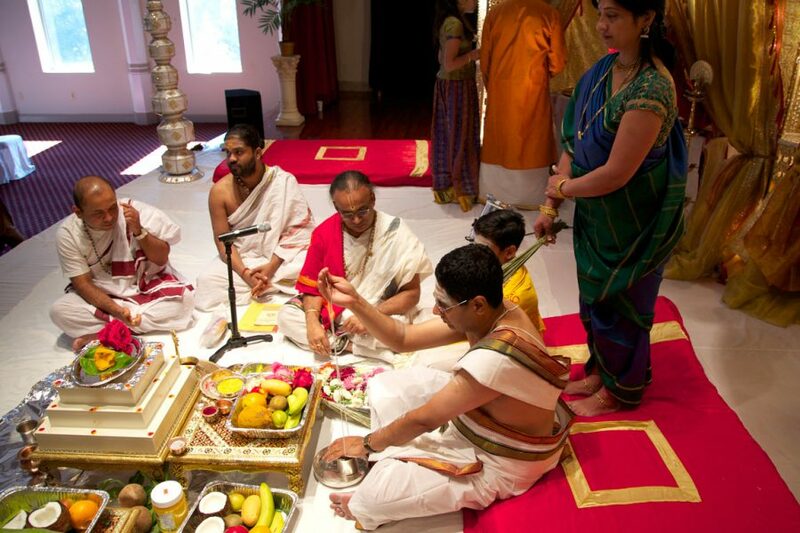 The first and foremost that he’s supposed to do three times a day, ritual worship service, puja. It also represent what is called three gunas, or the characteristics of individuals and the hope is that the good qualities will get better and he will be in a lifelong pursuit into thinking about God and focusing on what is called the moksha or the liberation. After the sacred thread ceremony that is given, then he shares a meal with, in this situation, with four other Bramacharis, students, who already had their sacred thread ceremony done and so he is now starting to learn to share. And it doesn’t matter whether he is a son of a king or a son of the, the biggest, richest person, or the peasant, they all eat the same food, and so it is a component of learning the humility and sharing. After that, the student is asked to stand on a stone. It is to make sure that the mother and the father reminds him to stand as strong as the stone, courageous, brave, and stoic, not wither with any ups and downs that comes in life. And then he’s led outside, to see the sun in a particular way that is taught by those boys to him and then he will start doing it every day because it’s the brightest object that we will see every day of our life. This ceremony actually is like a second birth. He’s made into a twice born. So the first birth is from the womb of his mother and the second birth is actually given the mantra from the father, so it is the second birth that comes to this boy. 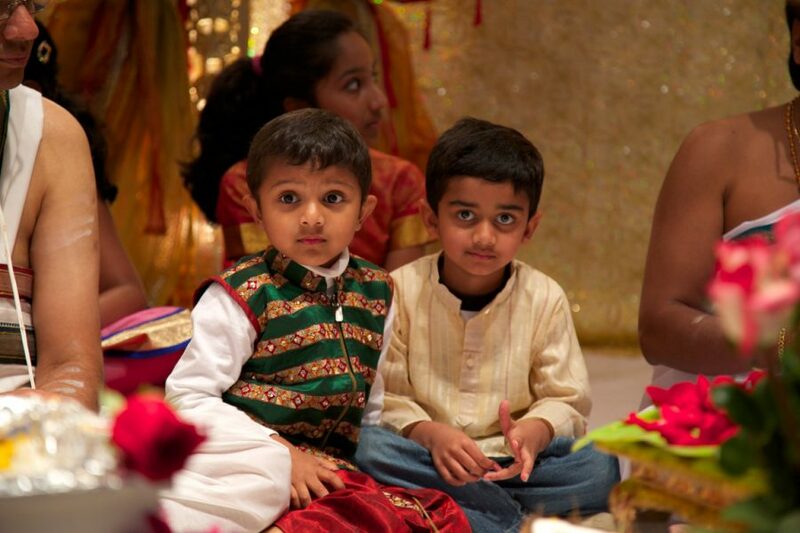 Hinduism strongly believes there is a spark of divinity within each one of us. 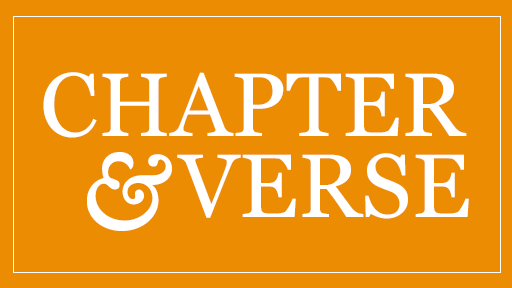 This is a wonderful sacrament in his spiritual advancement. 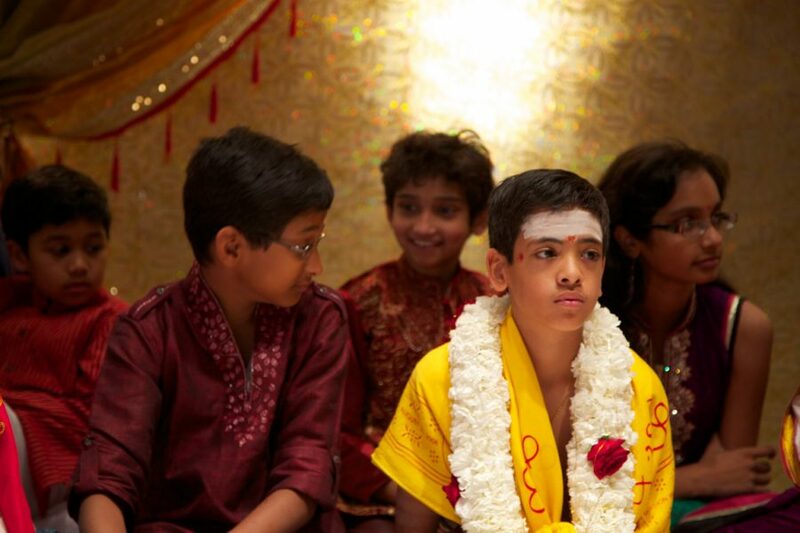 We visited a Hindu religious coming-of-age ceremony for nine-year-old Rushil Ramakrishnan at the Hindu Temple in Adelphi, Maryland. 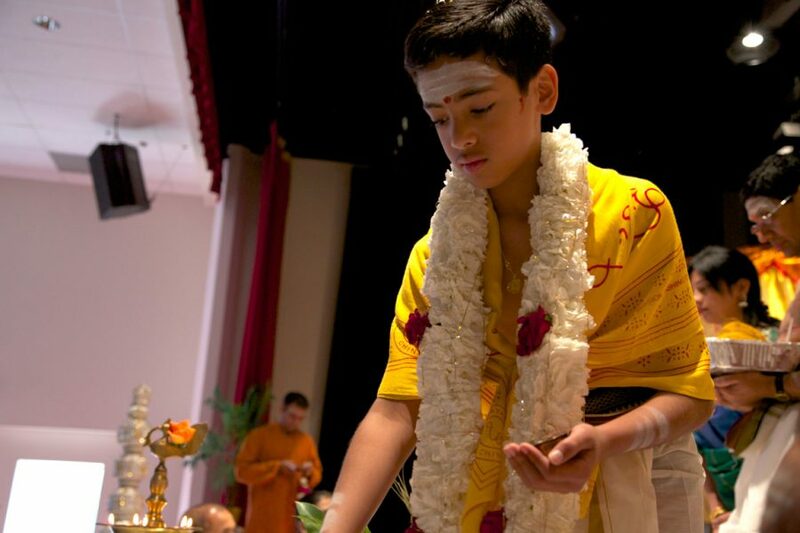 Also known as the “sacred thread” ceremony, it is typically performed for boys between the ages of 8 and 16 and traditionally marks the start of their formal education. 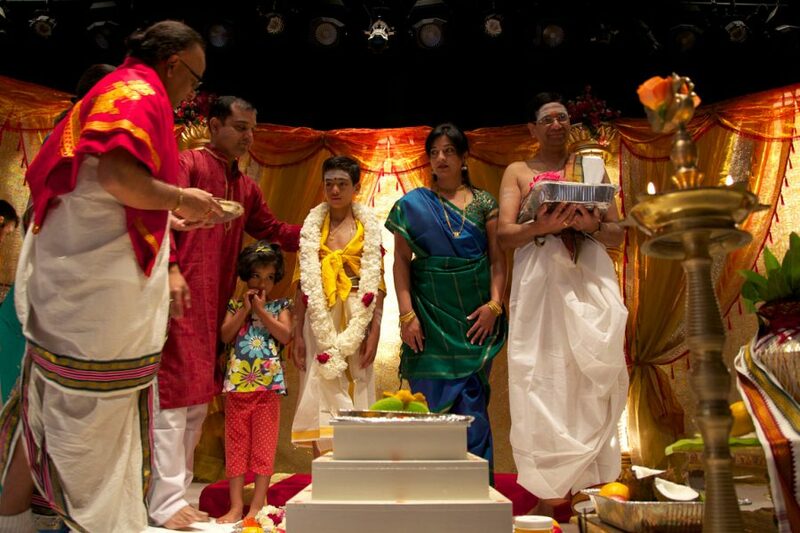 Dr. Siva Subramanian, a neonatologist at Georgetown University Hospital and a founder of Sri Siva Vishnu Temple as well as other Hindu associations in the metropolitan Washington, DC area, presided over the two-day ceremony. 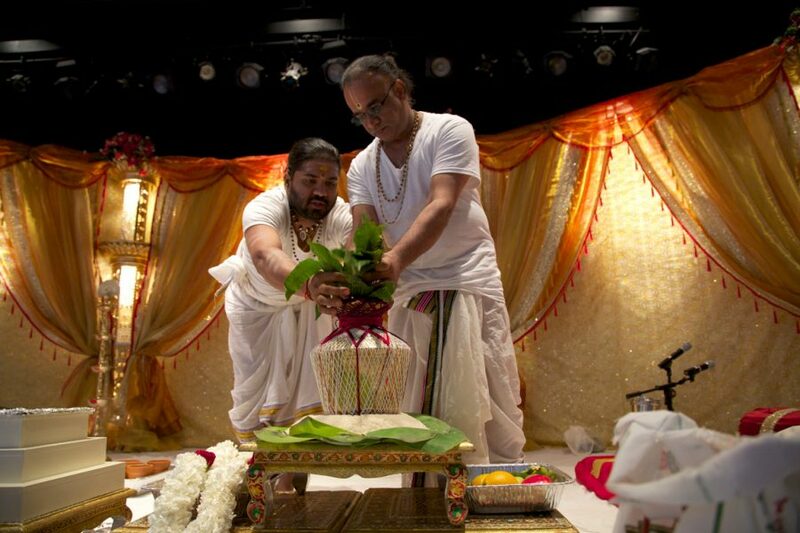 He explains the meaning and significance of its elaborate rituals and Sanskrit chants.